When it comes to mortgage lead generation, figuring out where to begin can feel a lot like trying to catch fish by randomly firing into the air over a body of water. The key to having mortgage lead generation feel less like an abyss is to use segmentation. This means you essentially construct a fish barrel to shoot into that makes the job of harvesting fish a more focused exercise. This post is really predicated on the notion that the best way for loan officers to go about mortgage lead generation is through real estate agent referrals. Furthermore, this post focuses on purchase loans as opposed to refi loans which, as they say, is a whole other kettle of fish (hooray for successfully including a fish-related pun). If you are curious about the thinking around why we believe that loan officers should focus on their realtor Relationships (versus buying leads), check out this post: The Best Mortgage Leads Strategy. Now back to our post. Let's imagine the 'What they do' component of Realtor segmentation as running parallel to the decision a skipper has to make when setting up his fishing vessel. The type of Realtors you focus on should be a reflection of the location(s) you focus on for your business. If your lending business is located in the heart of the Rust Belt, for example, then you may want to center your mortgage lead generation efforts on a larger volume of condo-centric agents. This means your segment will be comprised of the Realtors in your area who have a high home-sales-velocity. You'll probably want to have a large roster of these folks too (versus focusing on just a few heavy hitters). In this case it's a numbers game where you cast a wide net. It's an exercise in trawling for shrimp rather than trying to hook into a giant ahi. Similarly, if you are a lender on the West Side of L.A., the location is well suited for you to go after the ahi tunas of the Realtor world. Hell, if someone is going to write jumbo loans for super-sick mansions it might as well be you. That being said, whatever the market realities of your sales territory are, look for opportunities to be a contrarian. Focus on real estate agents who may not have every loan officer and their cousin chasing after them. Maybe this means segmenting for newer agents that are super hungry instead of Realtors that exclusively represent the buyers and sellers of your area's most fabulous estates. Does your segment tend to work for mega-firms like Keller, RE/MAX, or Coldwell? Do they work for boutique firms or regional players? Do they work closely with home builders like Pulte, Toll Bros., or Hovnanian? Do they run their own team as an independent shop, or under the umbrella of a larger realty company? Look for patterns among on the dealmakers you want to target and that will reveal more realtors that fit your target profile. These two parts of mortgage lead generation segmenting can be difficult to glean without personal interactions. They are based on observation rather than data points. In fact, the 'what they think' and 'what they want' parts of segmentation are usually used as filters for who not to pursue further after getting to know them a bit. Some Realtors are more abrupt and to-the-point than others. Some are technology-wunderkind where others want you to fax them everything. Some expect you to be available 24-7, others are less now-now-now. There's no wrong answer here. It's all about making sure that you jive with the vibe of your Realtor partners. It's also worth mentioning that buyers are often attracted to agents that they gel with. This means that if you like an agent, you'll be more likely to like their clients. That matters. No matter how big a fish an agent is, if you don't mesh with certain personality types or certain working styles it's best to politely bow out. Avoid distracting and draining toxicity at all costs. How do you jive with the vibe of this blog so far? What questions would you like answered? What trends are you curios about? Share your thoughts and tell us what you like and don't like in the comments below. Also, if you feel like you've got some ideas or opinions which warrant a deep-dive, email me at charlie@listreports.com. Cheers! Not already a ListReports subscriber? When you signup with ListReports you'll hit the ground running by automatically following the production of the top 25 realtors in your sale territory! Where can I find the best mortgage leads? When answering this question, the context is key. If the context of this question relates to the best place to buy the contact information of a person who filled out an online mortgage form then, truth be told, I haven't the foggiest idea how to find the best mortgage leads. As far as I understand it, the price and quality of mortgage leads you can purchase vary quite a bit depending on the seller. Even leads purchased from the same lead generation company will fluctuate in quality over time. To me it seems a lot like buying a cat in a bag. You could get a wonderful companion, but you could also get the feline version of Cujo. Don't get me wrong; buying leads works for plenty of loan offices. After all, the largest mortgage companies in the country buy leads. Over a long enough time period, buying leads can be somewhat predictable in terms of return on investment. That's all well and good, but getting to a place where buying leads makes sense—and cents—is another story all together. One thing I can say for sure is that figuring out how to make pay-per-lead a profitable effort will not be a cheap endeavor. Don't take my word for it. 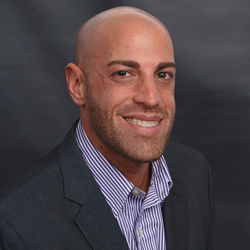 Joseph Semrani, head of a national mortgage telesales group at M&T Bank, wrote a great article for National Mortgage News recounting how he blew a quarter mil on mortgage leads. Spoiler alert: his net return was exactly bupkis. Realtors are the gatekeepers. Be the key master! Without some ideas around what you can do to find the best mortgage leads, this post would be a mere exercise in naysaying. That's just not my style. I will say this: in my eyes, the best mortgage leads are earned—not bought. When it comes to purchasing loans, earning leads by way of agent relationships is the best way to get a return on your time—hands down. This is because relationships with Realtors are like a key that has the potential to unlock a wellspring of the best mortgage leads. Mortgage leads from Realtors can become an on-going flow rather than just a one-and-done. Mortgage leads from Realtors come with a degree of implicit trust. The trust the home buyer has in an agent gets shared with you subconsciously through the transitive property of trust. Earned leads versus paid leads: what are the pros and cons? Am I way off-base on this one? What do you think? What has your experience been like working with real estate agents as a loan office and buying leads? How has buying leads worked for you? How much are you paying for leads, and in what quantities? What have you learned, and how much money have you spent learning it? In what ways do you go about meeting Realtors? What are your best real estate agent pickup lines (for lack of a better description)? How do you break the ice? What do you do to help make agents' lives easier and give them a reason to refer deals to you? What are your horror stories? Share your thoughts and experiences in the comments section below and let's see if we can use the wisdom of the crowd to gain a collective advantage and avoid pitfalls! Finding new mortgage leads is the same as finding new leads in any other business: you can either find entirely new folks who need your service, or you can drive new business from your existing network. Now, building completely new business relationships should definitely be a considerable part of every loan officer’s business growth initiative. That being said, the fastest way to get new mortgage leads is to source them from the folks you already know. They're the lowest hanging fruit of your next commission check. If you are a loan officer worth your salt, then you already have a group of Realtors who send you referrals from time to time. You probably also have a larger group of Realtors who know you but haven’t referred mortgage leads to you yet. In both cases it’s incumbent upon you to give those agents a reason to send loan deals your way. The ListReports 'Follow Agent' feature gives you that reason. Perhaps the most important reason why an agent would want to receive a ListReports marketing kit from you is when that Realtor has a new listing. Not only do listing agents often dual rep, they also interact with multitudes of buyers' agents all day. Accordingly, loan officers that work with listing agents often find that their relationship has both a direct impact and a secondary amplifying effect in terms of growing new mortgage leads. You can know the moment any agent has a new listing by using the 'Follow Agent' feature in ListReports. Adding your agent network with ListReport's 'Follow Agent' feature is as easy as entering the agent’s name into our system. Here's the ‘Follow Agent’ step-by-step guide to give you have a sense of how easy it truly is. ListReports has hundreds of thousands of agents in our database. On the off-chance that the agent you want follow isn’t in our system, adding unlisted agents to your account is ridiculously easy too. Once you’ve added your agent network to ListReports you’ll get a text message the moment a followed agent has a new listing that hits the MLS. Simply tap on the link in the text message and you’ll have a marketing kit for that property in seconds. It’s a super easy, relevant, and timely way to give agents that previously mentioned “reason”. Ok, it’s time for you to build up your library of agents. Log in to ListReports right now and get to it. Or sign up for ListReports here. Start with your current agent partners and expand to the Realtors you know and want to work with thereafter. Oh, and don’t fret: agents don't know that you’ve followed them. You just come across as someone who's on top of their game!